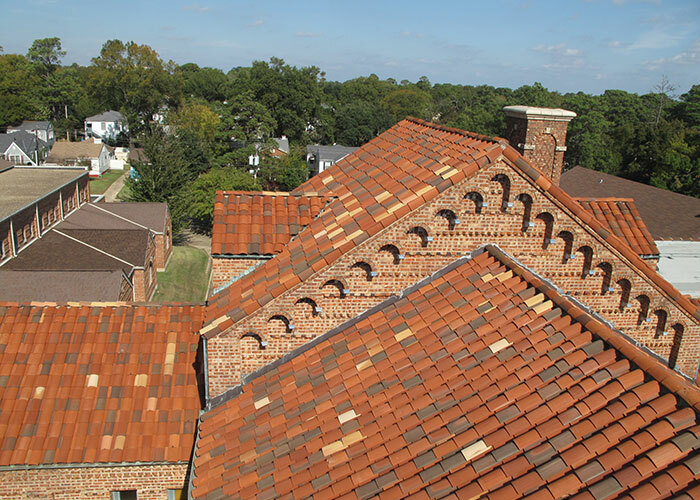 Nelson’s engineers and architects are experts at evaluating roof systems and coverings. 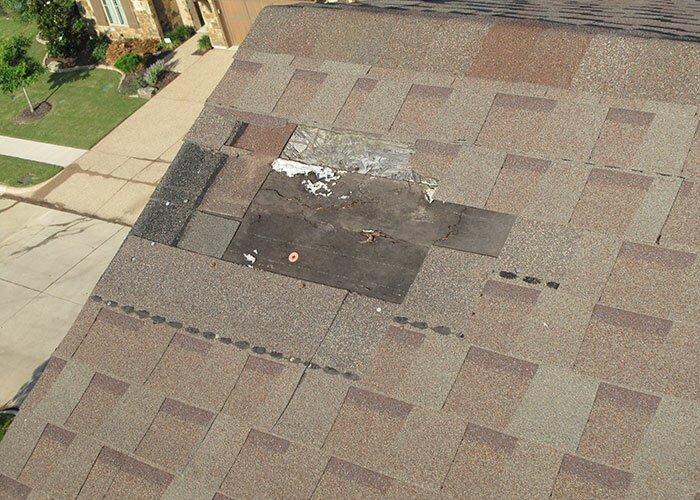 Nelson’s roofing expertise includes assessment of roof design and detailing, evaluation of drainage conditions, code analysis, evaluation for impact distress, assessment of wind-related damages, determination of cause and extent of water intrusion, and analysis of as-built conditions and maintenance issues. 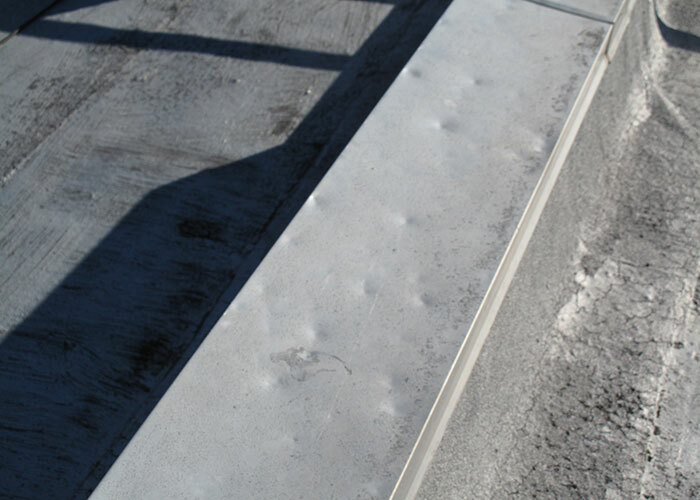 Nelson’s team is equipped to perform detailed damage assessments on all steep-slope and low-slope roof systems. 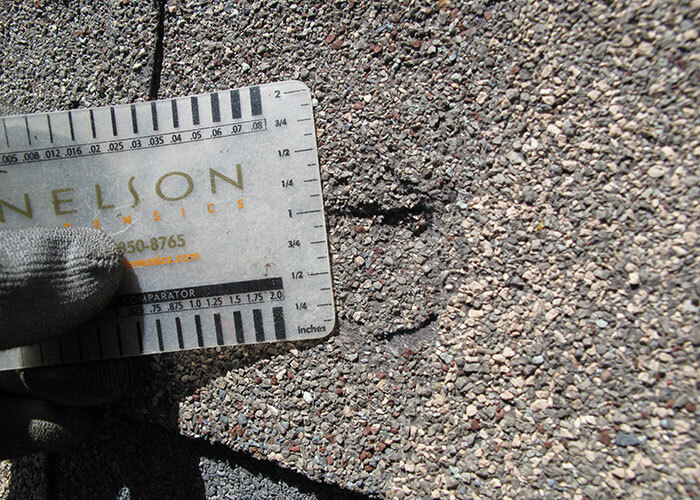 Nelson is capable of performing an array of cutting-edge testing which is often necessary to provide comprehensive roof assessments. 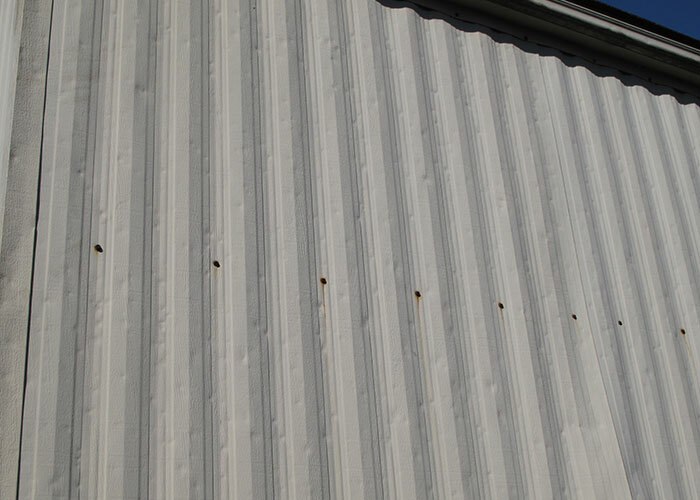 These tests include detailed surveys to evaluate and quantify hail impact and wind-related distress, removal of samples to evaluate the roof assembly, laboratory evaluation of materials, and moisture surveys, including infrared imaging. 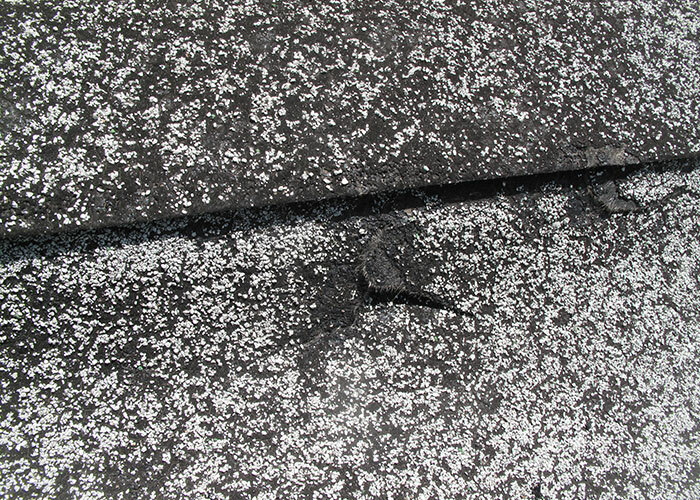 Nelson was retained to evaluate reported hail damage to numerous roofs throughout a large urban school district. 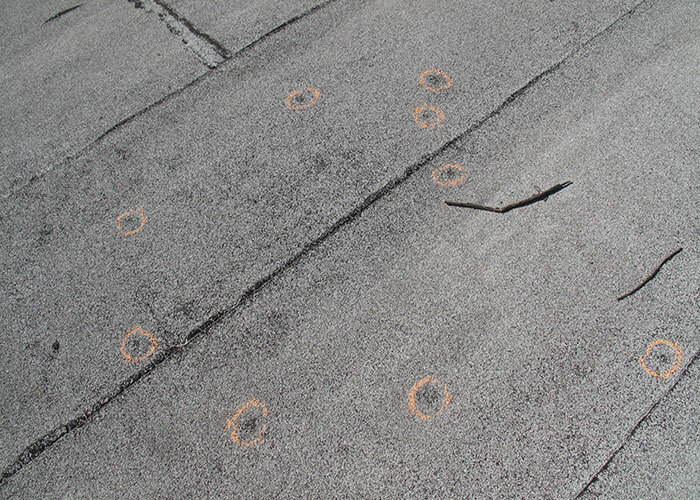 Nelson’s investigation revealed hail damage at many, but not all of, the campuses. The varying extents of damage, in conjunction with varying building conditions, required development of unique remediation scopes for each campus. 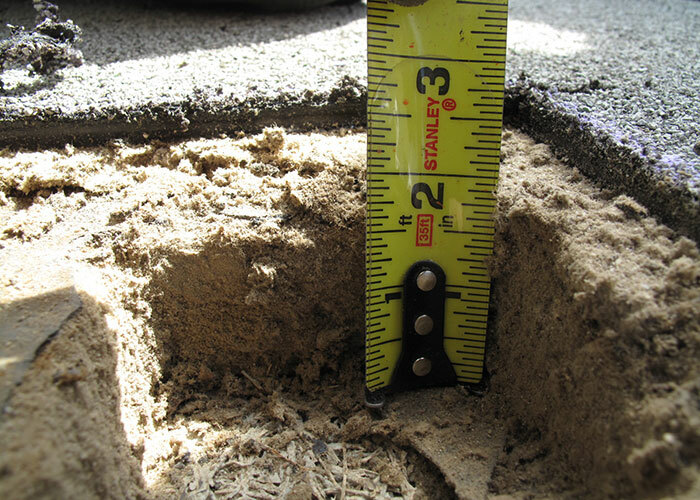 Due to the intricacies of the required remediation, Nelson continued to assist its client long after the roofing evaluations were completed by analyzing code upgrade requirements, developing cost estimates, delineating remediation scopes and cost estimates into specified categorizations, reviewing construction drawings and specifications prepared by project architects, and attending meetings with school district officials. 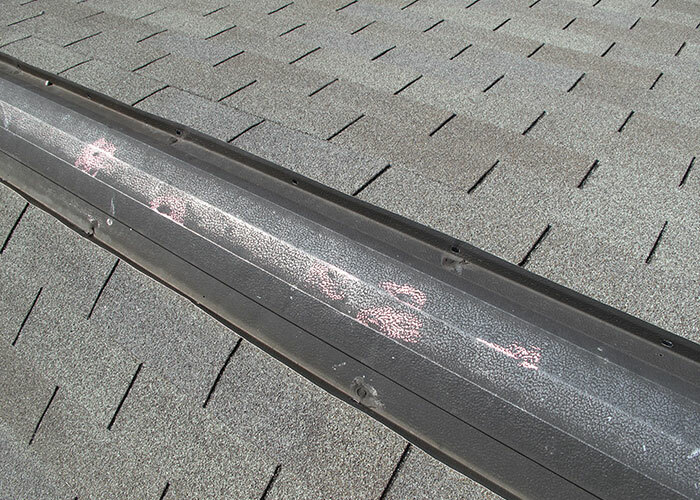 Nelson was asked to determine the extent of wind and hail distress to the roofs of buildings located on a large retirement community property in North Texas. 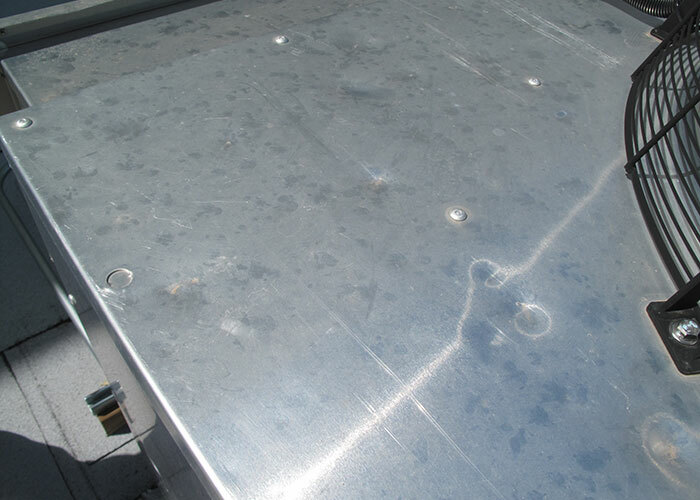 The roofing materials included asphalt shingles, thermoplastic membranes, and metal panels. The buildings had been constructed in groups at various times over the course of several years. Nelson determined that hail and wind distress was present at only select buildings, and used historical aerial imagery from multiple sources to piece together a timeline of their construction. Comparing this timeline to the observed conditions revealed a distinct pattern: only the buildings constructed before a certain date exhibited wind distress, and only the buildings constructed before another specific date exhibited hail distress. The pattern was corroborated with weather data, which allowed Nelson to identify a specific storm event from several years prior that caused the hail distress, and to identify wind events that contributed to the observed wind distress. 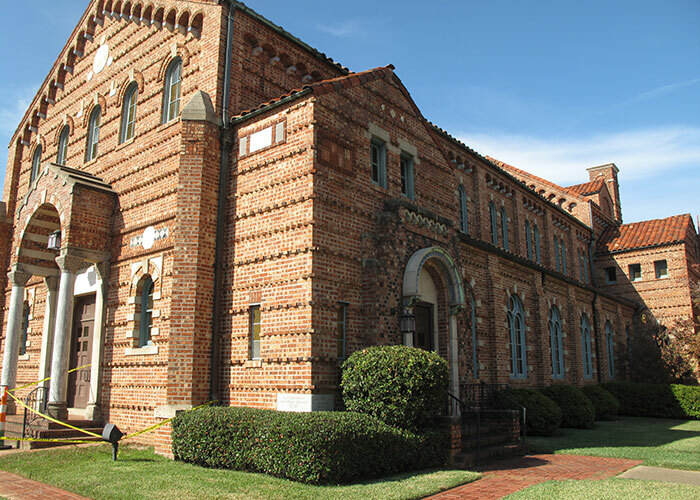 Nelson was retained to determine the cause of reported water intrusion distress at a nearly 100 year old church in western Louisiana. 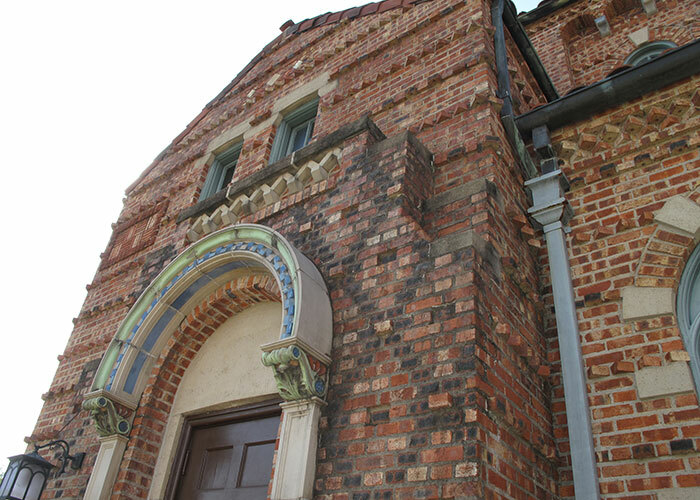 The church is listed on the U.S. National Register of Historic Places. 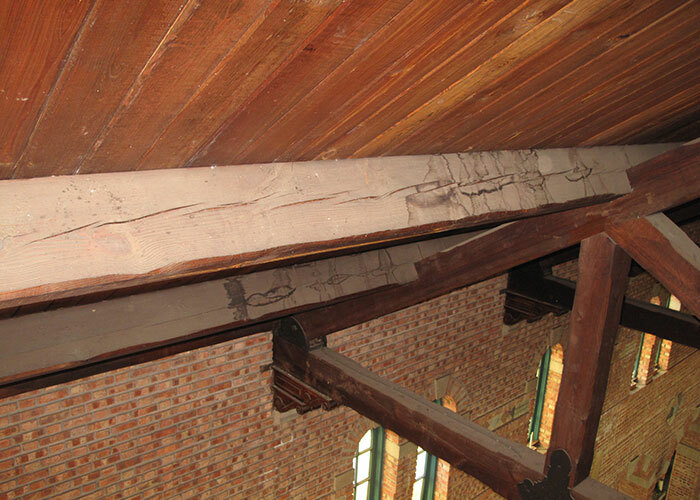 The reported distress included plaster staining and deterioration, wood trim staining, and damage to the sanctuary’s ridge beam resultant of wind distress to the structure’s clay tile roofing. The historic structure provided unique challenges for the investigative team. 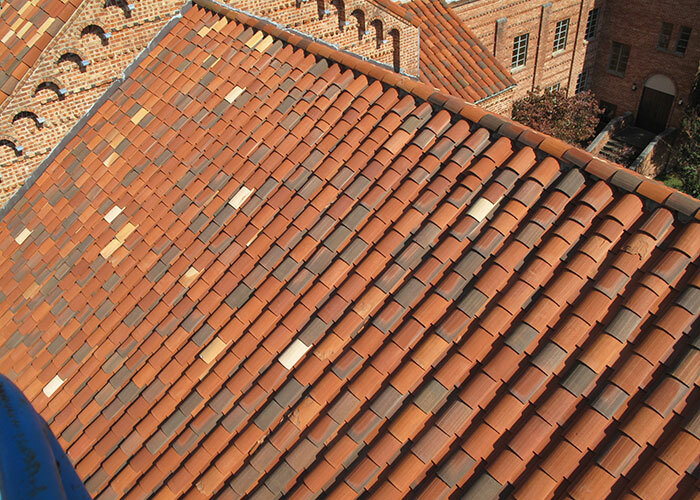 To avoid potentially damaging the delicate clay tile roofing, Nelson observed the roofing conditions from a boom lift and nearby flat roof areas. Additionally, the ridge beam was located high above the floor level and required scaffolding to perform a close examination. 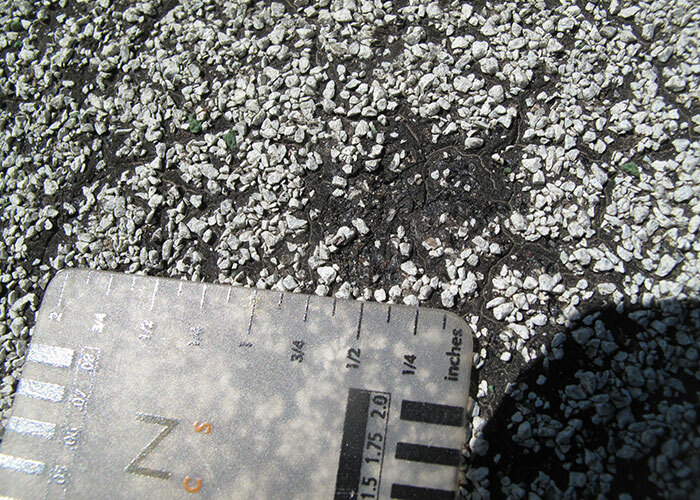 Nelson was retained to evaluate structures on twelve school campuses to determine the extent of hail damage and to determine when the damage occurred. 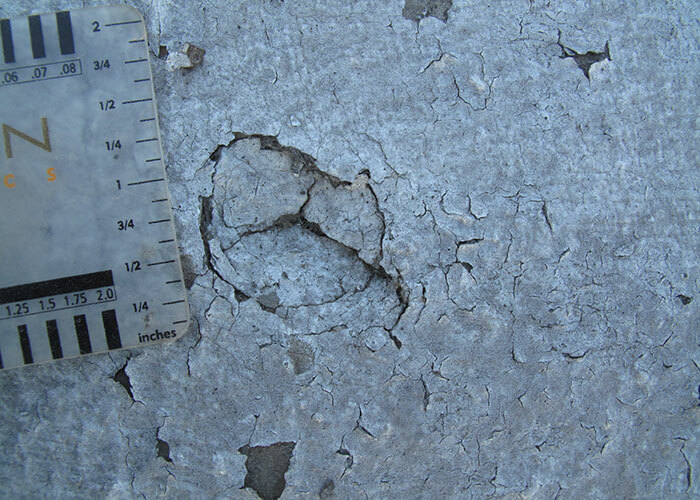 Hail damage was readily identifiable at several of the campuses, which made dating the damage the primary focus of this investigation. 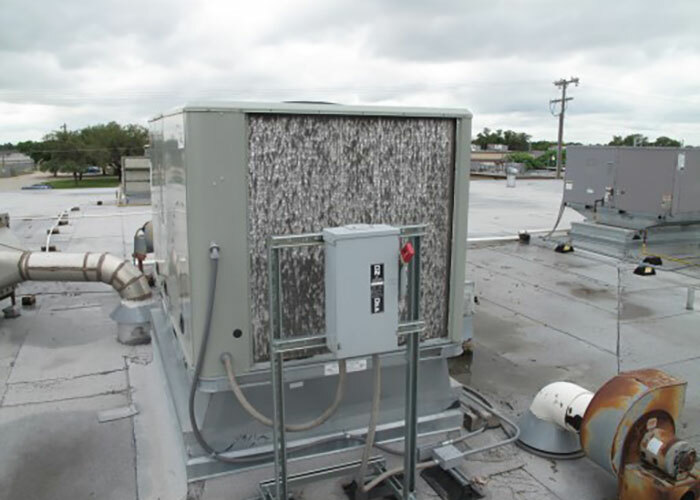 To aid the dating analysis, Nelson determined the ages of rooftop mechanical units throughout the campuses from manufacturer labels and used aerial imagery to confirm when various roof sections, appurtenances, and metal panels were installed at the campuses. 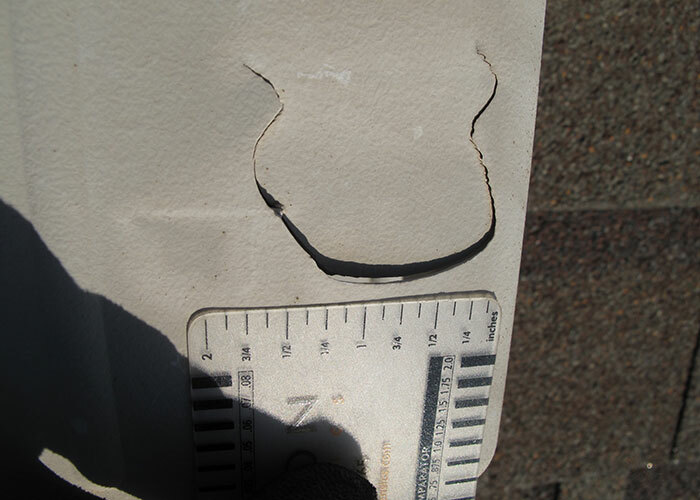 The diversity of roofing materials, components, and appurtenances installed over many years allowed Nelson to identify the timeframe during which the hail damage occurred. 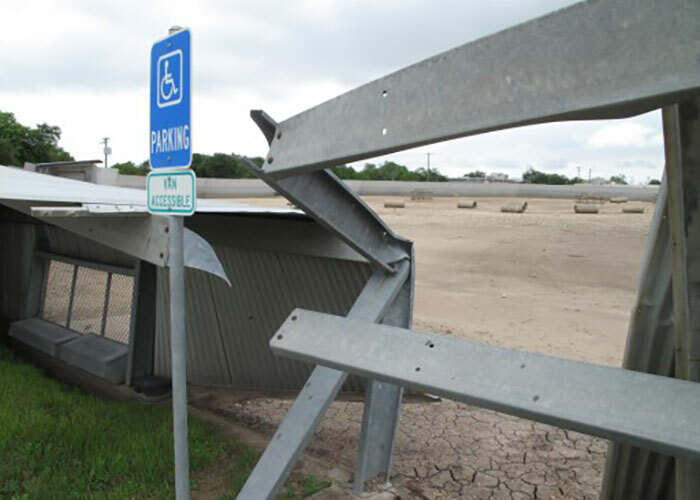 A severe storm affected a 200 acre research campus, and Nelson was subsequently asked to evaluate 26 structures throughout the site for damage related to hail impact or wind from the storm. 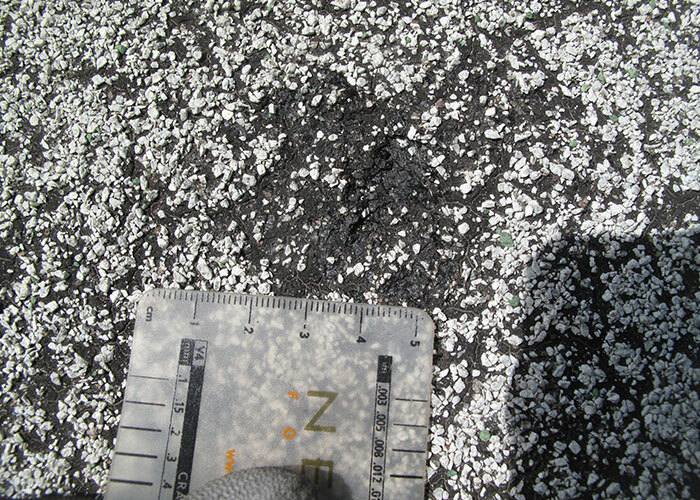 Nelson investigated built-up, modified bitumen, TPO, and metal panel roofing. 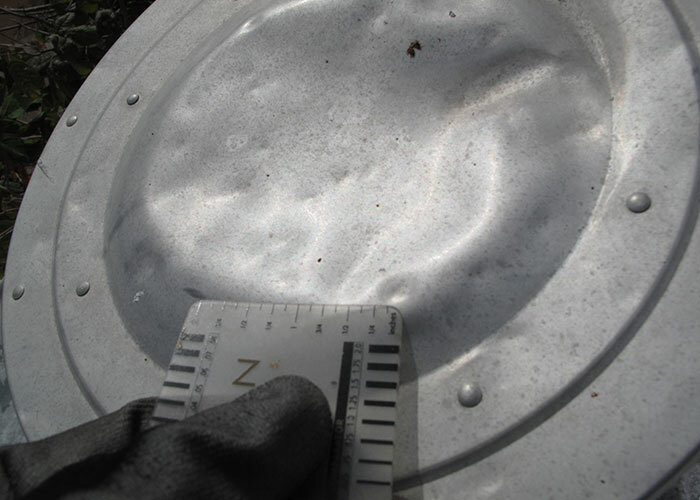 Using information gathered throughout the site, Nelson determined the approximate size of hail that occurred, determined the directionality of hail impact, and delineated which roofs were affected and what repairs were necessary to remedy the damage. 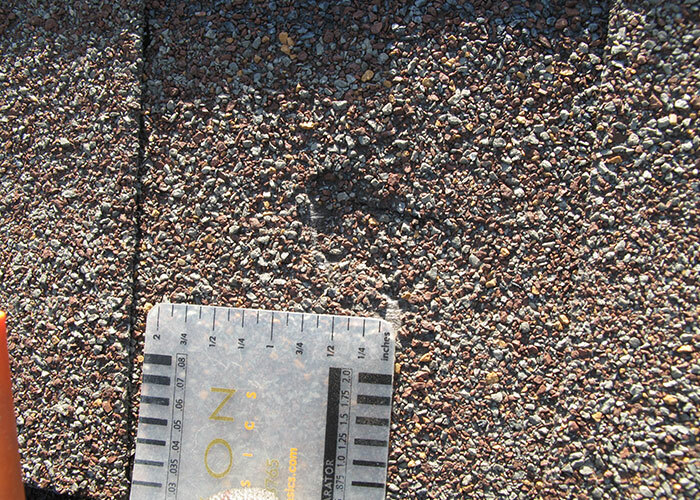 Nelson also determined the scope of wind-related damage, including damage from wind-borne debris impact, at the roofs throughout the campus. 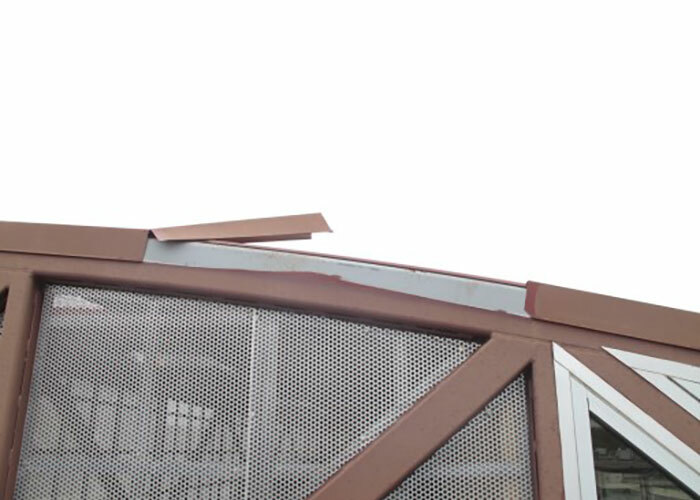 Nelson evaluated an animal habitat enclosure at the facility and determined that wind, in combination with structural defects, had caused failures at structural members and weld connections. 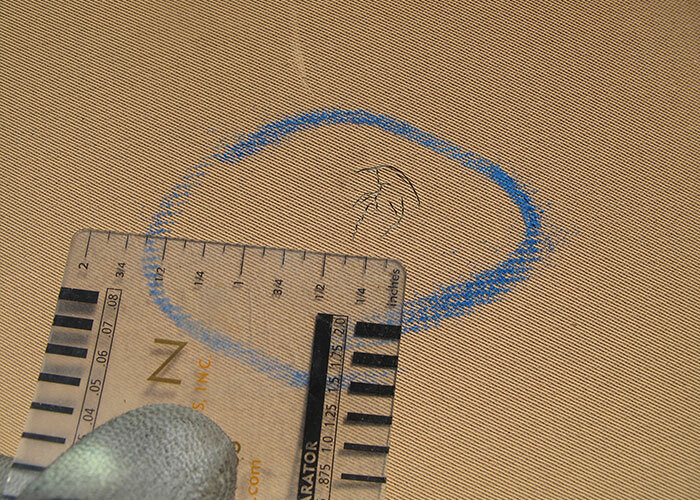 A large printing facility was located in a storm event area with reports of 1 3/4 inch diameter hail. 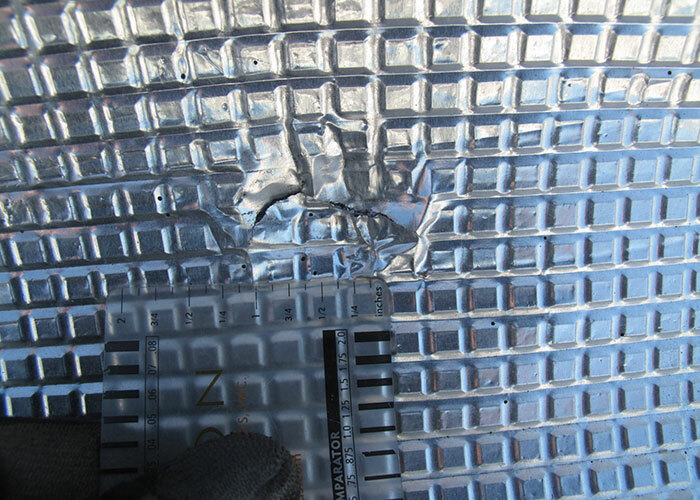 Due to the nature of the work performed at the facility, and the protection needed for the paper products stored inside, a quick response was needed to evaluate roof damage. Nelson was on site promptly following the storm to conduct a preliminary evaluation and identify any areas in need of emergency repairs. 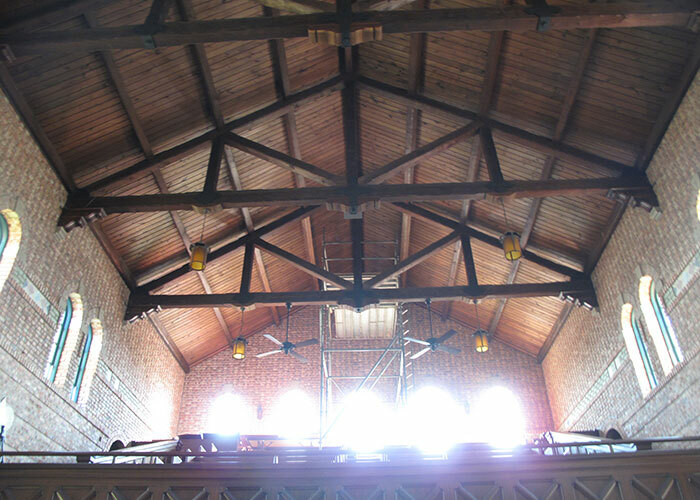 Thereafter, Nelson returned to the site to complete a detailed roof evaluation, which revealed that approximately 75% of the building needed to be reroofed. 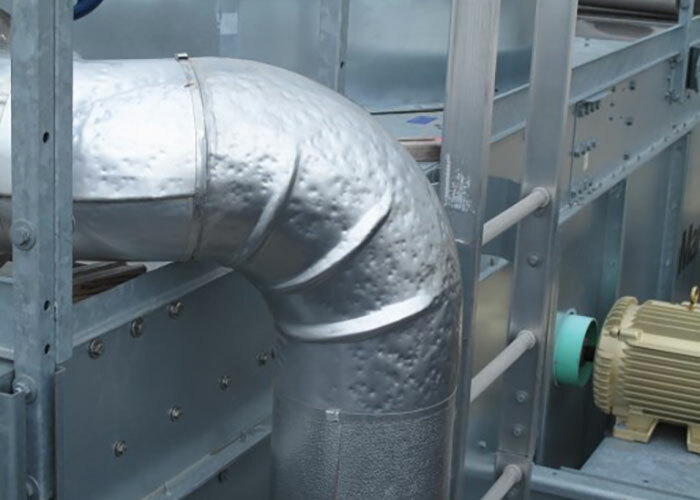 The nature of the facility required that the repairs be performed quickly, and Nelson coordinated with all parties involved to facilitate rapid remediation. To take the project to the finish line, Nelson assisted the client in several follow-up tasks including evaluating the EIFS cladding of the structure, preparing cost estimates, reviewing contractor bid documents to confirm the appropriate scope of repairs, and attending project construction coordination meetings.